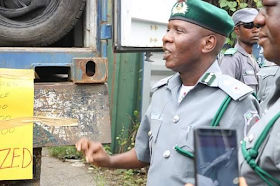 Officers and Men of Nigeria Customs Service, Federal Operations Unit (FOU) ‘A’, intercepted smuggled goods with a Duty Paid Value (DPV) of Three Hundred and Thirty Four Million, Forty Two Thousand, Three Hundred and Ninety Six Naira, Eight kobo (N334,042,396.8) only between the months of 1st April to 12th June, 2017. Comptroller Mohammed Uba said the Unit also recovered Two Hundred and Seventy Three Million, Six Hundred and Seventy Five Thousand, One Hundred and Thirty Eight Naira, Seventy Five kobo only (N273,675,138.75) from duty payments and demand notices on goods that tried to beat the system and 10 suspects were arrested in connection with the seizures in the period under review. 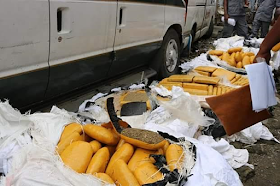 He further mentioned that 152 different seizures were recorded comprising vegetable oil, foreign parboiled rice, frozen poultry products, smuggled vehicles, India hemp, used tyres and general merchandise Six Hundred and Seven Million, Seven Hundred and Seventeen Thousand, Five Hundred and Thirty Five Naira, Fifty Five kobo only (N607,717,535.55) between the month of April 1st to June 12th 2017 making it a landslide in recent times. “You will agree with me that smuggling is a global phenomenon which cannot be curbed entirely but can be brought to its barest minimum. I have to praise the commitment and diligence of the officers and men of the unit for thwarting the antics of some dare-devil smugglers, who used different methods for concealment” he said. Compt. Uba said the Unit also intercepted 384 parcels of Indian hemp concealed inside six bales of second-hand clothing from Ghana along Iyana-Ipaja road. 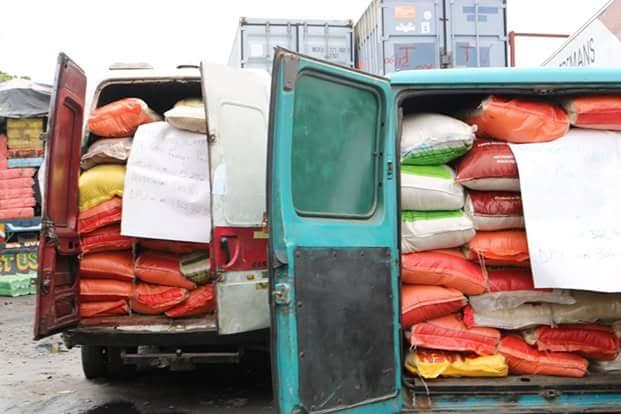 In the spirit of inter-agency relationship, the suspects and the contents were handed over to the National Drug Law Enforcement Agency for prosecution in a court of competent jurisdiction. COMPT Uba thanked the management of the Nigeria Customs Service under the leadership of Col. Hameed Ibrahim Ali (Rtd) for the motivation and support that led to this great feat. 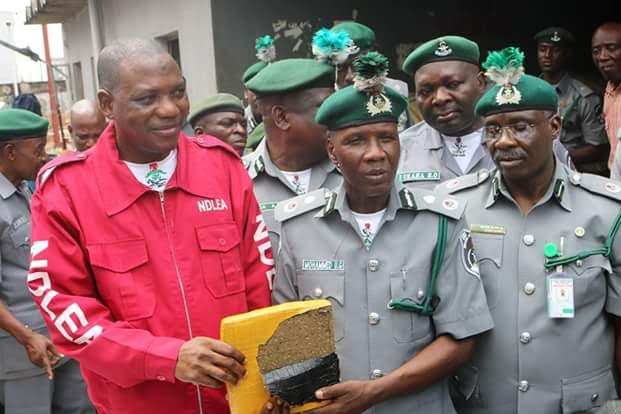 The Comptroller called on Nigerians to support the anti-smuggling drive of the service, as this will encourage our indigenous industries and create job opportunities for Nigerians.